Bulgaria is a country in southeastern Europe. It is one of the most visited countries in East Europe and is famous for its fabulous beaches, great landscape, beautiful mountains, old history. delicious food and unique traditions. Make Bulgaria your next destination and immerse yourself into the charm of this ancient culture. Bulgaria is a member of the European Union, NATO, and the Council of Europe. Economy: Bulgarian economy is in the upper middle-income range. 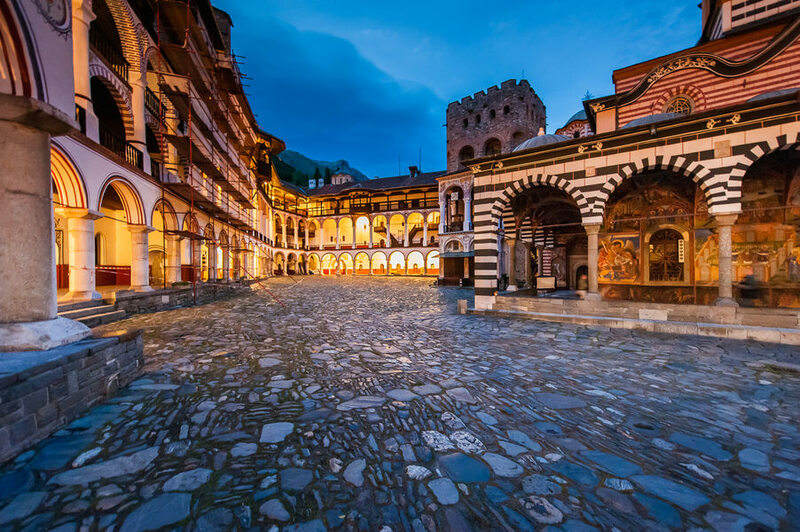 Despite millions of travelers visiting Bulgaria each year, it is still one of the cheapest and most affordable travel destinations in Europe. Weather: Bulgaria has a temperate climate, with cold winters and hot summers. During the summer period (June, July, August, September) the temperatures can vary between 25 °С to 42 °С. During the winter period (December, January, February) the temperatures vary between -5 °С to 10 °С. Money: Please bare on mind, that not everywhere you can shop with your credit/debit card. Make sure that you have some cash if you go to some remote areas, where is hard to find an ATM machine. Of course, too much cash is also not so advisable! J The safest place to get some cash is directly from the ATM machines or banks. Please do not exchange money from street dealers, regardless how convincing they might sound. You will end up with another currency! If you are on your own and you would like to travel from cities to cities, make sure that there are good public coach services. Although many funds have been allocated to the infrastructure of Bulgaria since the country became a member of the EU, still the public transportation is not so modern and comfortable in comparison to west Europe. So do not except very luxurious coach services, if you travel by your own and if you use the public transport to travel from cities to cities, except if you travel between the major once. Depends on where you are planning to go. There are public and private coach services to travel in Bulgaria. Travelling in Bulgaria is very cheap in comparison to the UK. For example, your one way ticket from Sofia to Varna (280mi/450km) will be as low as 16 pounds by coach and 14 pounds by train. We advice you to travel by coach, rather than by train. Here you can check the schedule of the coach services in Bulgaria to different locations. If you want to use taxi within a city, make sure that they are yellow in color and our advice is always to ask about the price in advance. Normally, the price per kilometer is around 40p, which is low. It is also advisable to order taxi from the reception of your hotel. On the airports or coach stations ask the staff for the proper taxis. It is advisable to avoid taxis parked outside hotels or in tourist areas. They simply charge way more. One of the greatest way to explore Bulgaria is by Rent a car. There are some good companies, where you can check their vehicles and order them online. Here are some recommended: Top Rent A Car, Speedycars, Veger Car, Easy Rent Bulgaria. Check our options to book a transfer from Burgas Aiport to Sunny Beach, Nessebar, St Vlas, Ravda and Elenite. Sunny Beach is the biggest summer resort in Bulgaria and it is also one of the grandest in the world. It is located approximately 30 km north of Burgas. There are over 250 hotels and hundreds of apart-hotels in the resort. In fact, Sunny Beach is so huge, that it can accommodate more than 200 000 visitors at once. Its coastline is 6km (3.5mi) long. The resort is famous for its vibrant nightlife, full of hundreds of clubs and restaurants. Popular venues: Cacao Beach Club, Bedroom Beach Club, Disco Revolution, Oxygen, Disco Den Glade Viking. Check the Day Trips from Sunny Beach Resort. Golden Sands is the second largest summer resort in Bulgaria. Its capacity is around 50 000 beds. 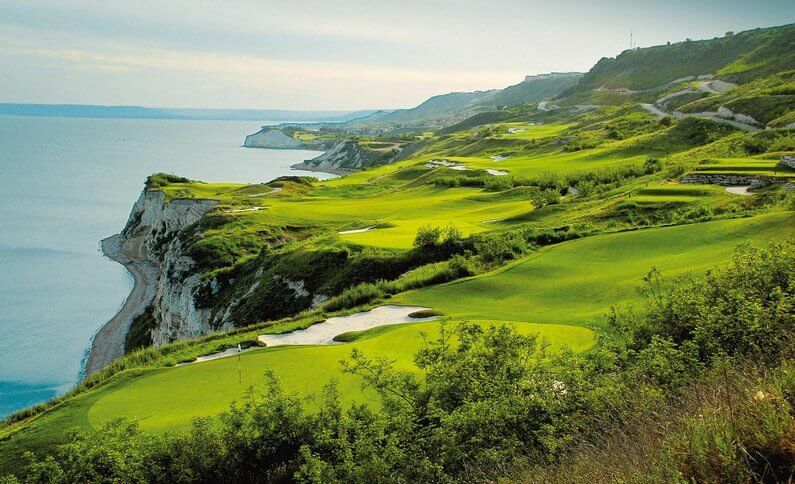 Located approximately 20km north of Varna, the resorts is famous for its sandy beaches, nice hotels and great landscape. Its coastline is 3.5km (2mi). 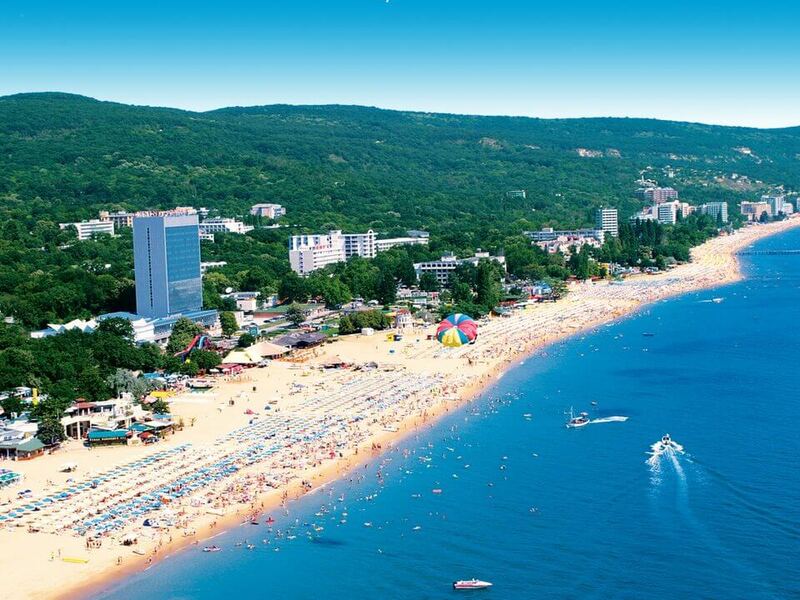 Albena is the third largest resort, located on the coast of Black Sea, 30km north of Varna. The resort is remarkable for its 5-km long, 150 m wide beach with very fine and clean sand. The resort has about 50 hotels and it offers numerous sport and recreation activities including football pitches, multiple tennis courts, golf courses, bowling, jet-ski, an equestrian base and more. Albena remains within well-preserved natural surroundings and it has the reputation to be the best sustained resort with significantly green landscape. Bansko is the biggest ski resort in Bulgaria located at the foot of the Pirin Mountains at an elevation of 927 m above sea level. It has become an international centre for winter and summer tourism. The ski area of Bansko has 75 km (47 mi) of ski runs, 14 lifts and drags, serving up to 24,500 persons per hour. The lift-served summit rises to an elevation of 2,600 m (8,500 ft) above sea level. Bansko has many modern and stylish hotels, many traditional restaurants and recreation facilities. Nowadays, Bansko has gained international popularity as a pop and jazz scene. Alpine and biathlon competitions take place regularly. More information for the lifts and the ski slopes in Bansko you can find here. Pamporovo ski resort is the second largest winter resort in Bulgaria, located in the heart of the Rhodope Mountains at an altitude of 1620 meters above sea level. The resort has 55 km of ski-runs and 38 km of cross-country skiing tracks served by 18 lifts with a total capacity of 13,000 persons per hour. The gentle profile of the mountain with its rounded slopes and summits makes Pamporovo suitable for beginners. There are difficult ski runs like “The Wall” for the advanced skiers, as well. Ski rentals are available near the ski runs and the lift stations. The highest peak in the area is Snezhanka at 1928 m.
Borovets is a popular Bulgarian mountain resort situated on the northern slopes of Rila, at an altitude of 1350m, 73 km(44mi) from Sofia and 125km(75mi) from Plovdiv. The resort features luxury hotels, restaurants, bars, shops and a good choice of slopes and lifts. Borovets provides excellent conditions for snow sports during the winter: skiing, night-skiing, snowboarding, cross-country skiing, ski jumps and biathlon, ski-doo, etc. There are ski runs for beginners, intermediates and advanced skiers. 58 km of marked pistes cover the generally north facing slopes up to an altitude of 2560 m, with many runs terminating near the resort centre. Sofia is the capital city of Bulgaria. The city has a population of 1.26 million, while over 1.5 million people live in its functional urban area. The city is located at the foot of Vitosha Mountain in the western part of the country. Famous landmarks and attractions: St. Alexander Nevsky Cathedral, one of the largest Eastern Orthodox cathedrals in the world. The 4th century St. George Rotunda, which is a church and the oldest building in the area. Ivan Vazov National theater. The House of Parliament. Vitosha Boulevard, which is the main shopping and central street. The National History Museum housing the world’s famous Panagyurishte Gold Treasure from the ancient Thracians. Earth and Man National Museum, which a unique mineralogical museum. The National Gallery. Capital Fort, a 126-meter skyscraper. Plovdiv is the second largest city in Bulgaria and has a population of nearly half of million people. 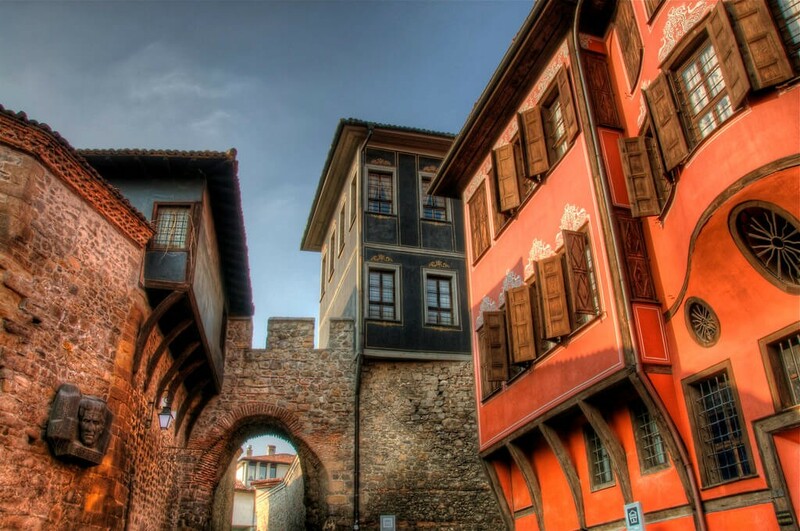 Plovdiv is one of the oldest cities in Europe and its history spans more than eight millennia. Touched by the glories ancient Greeks, Thracians, Romans, Byzantines, Ottomans and Bulgarians, Plovdiv is nowadays a great example of the diversity of human history. Famous landmarks and attractions: The Old Town of Plovdiv – cultural edifice, housing some of Plovdiv’s best attractions such as a great Roman amphitheater, numerous churches and traditional houses from 18th and 19th such as Georgiadi House, Hristo Danov House, Balabanov House and Hindliyan House, which are a great example of Plovdiv’s rich and and wealthy history as a merchant city. Varna is the third largest city in Bulgaria. Its population is nearly 400 thousand people. Located beautifully on the coast of Black Sea, Varna attracts hundreds of thousands of visitors each year. 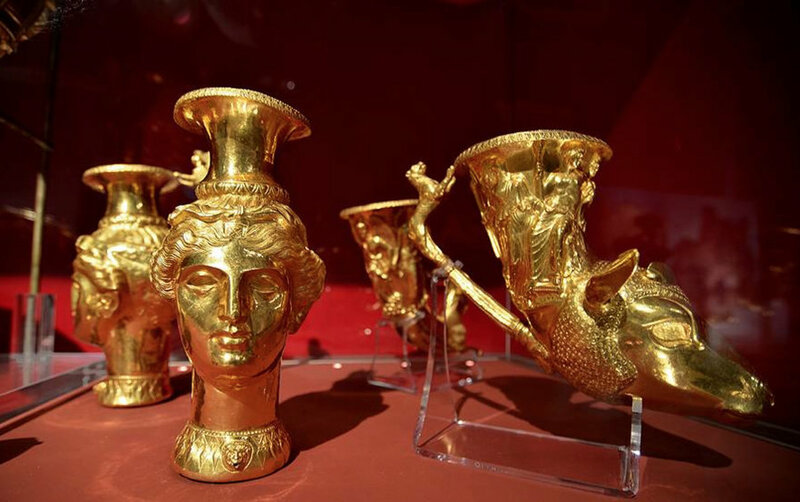 Undoubtedly, the most famous attraction is the oldest gold treasure in the world, housed in the Archeological Museum of Varna. It is estimated to be over 6000 years old. Do not miss the Roman Thermae, which is another local attraction. The famous Golden Sands resort is located just 20km north from Varna. With a little over 200 thousand people, Burgas ranks the 4th largest city in Bulgaria. It has a lovely city centre with beautiful houses, restaurants and shops. Burgas is located on Black Sea Coast and is in between one of the greatest summer resorts in country, Sunny Beach (30km towards north) and Sozopol (30km towards south). It is a good place for shopping if you are in one of these resorts and you simply would like to visit a local big city for shopping and walking. Referred to as one of the most beautiful cities on the Balkans, Ruse lies beautifully on the right bank of the Danube river, northeast part of Bulgaria. It is the fifth largest city and has 150000 people. It has quite an aristocratic city centre and its architecture is based on buildings in Neo-Baroque, Neo-Rococo and Neoclassical architectural styles. Many famous writers and artists have been born in Ruse during the 20th century. Famous landmarks, attractions and museums in the city are: the Rousse Historical Museum, “Girdap” the first private bank in Bulgaria, Dohodno Zdanie – a neoclassical edifice, the Monument of Liberty. Nessebar is one of the oldest ancient towns on the coast of the Black Sea. It is a town and resort. 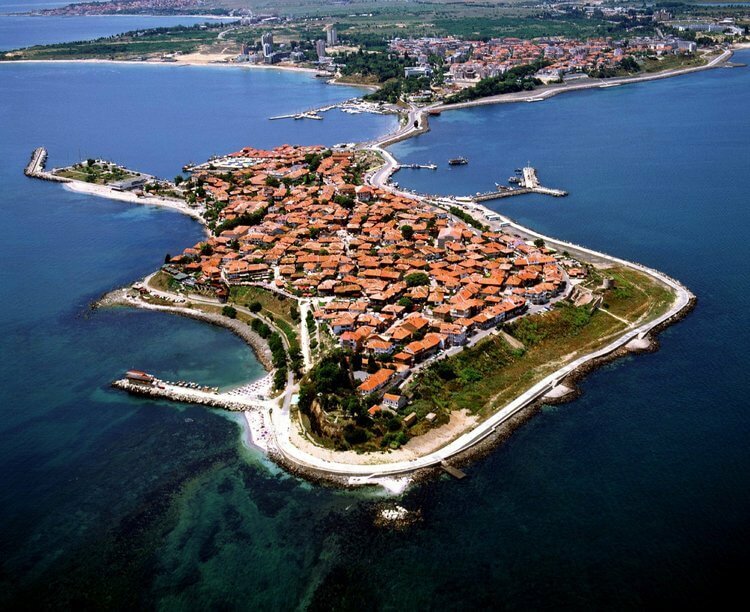 Through the centuries, Nessebar was an arena of power, beauty and aristocracy. Historically, the famous part of Nessebar is the so called Old Town of Nessebar, which is situated on an island, nowadays connected to the mainland by a narrow man-made isthmus. The Old Town of Nessebar attracts hundreds of thousands of tourists each year and it is in the list of World heritage Sites of UNESCO. Full with medieval houses and ancient churches, Nessebar is truly a must see destination in Bulgaria. Do not miss the Archeological museum in the Old Town of Nessebar, which depicts the lifestyle of its ancient Greek, Roman, Byzantine and Bulgarian citizens. You can also visit the Church of St.Stephen, famous for its magnificent murals. Nessebar is just next to the biggest summer resort of Bulgaria, Sunny Beach. Often referred to as the “City of the Tsars”, Veliko Tarnovo is a city in north central Bulgaria. During the Middle Ages, the city was among the main European centres of culture and power. From 12th to 14th century, Veliko Tarnovo was the capital of the Bulgarian Empire. The most popular attraction in the city is the fortress of Tsarevets. It served as the Second Bulgarian Empire’s primary fortress and strongest bulwark from 1185 to 1393, housing the royal and the patriarchal palaces. Bulgarian food has a reputation as being one of the best in the world. If you are on аn all inclusive basis, try to eat out in a local restaurant. The traditional restaurants are called “Mehana”, written in Cyrillic alphabet as “Механа”, exactly as you see it! Try some Shopska salad (tasty tomatoes, cucumbers and white cheese), bean soup (served in a traditional pottery with tasty spices), pork or lamb meat steaks or stuffed cabbage leaves with minced meat or even their traditional pastry, called Banitsa, made with delicious white cheese. Do not miss to taste “lyutenitsa”, which is a spicy vegetable relish, suitable with almost everything. Bulgarian chips are served with white cheese, shredded on top. Bulgarians love their chicken soup and the so cold “tarator soup”, which is cold refreshing soup, made of yoghurt, cucumbers, dill and walnuts. Other delicious meals are the stuffed baked pepper with cheese and the so called “Sach”, which is prepared of chicken or pork pieces of meat with fresh vegetables cooked on a hot plate. For wine lovers, we can suggest to try “Mavrud”, which is a typical red wine with very strong taste. There are plenty of wineries, which make the country a paradise for wine tasting tours. Bulgarians are proud of their “rakia”, which is a strong fruit brandy with alcohol content of normally 40%, but home-produced rakia can go way higher up to 60%. Normally, it is served in shot glasses of 50ml / 1.7 fl. oz. Please bare on mind that “double” in Bulgaria is equivalent to 100ml / 3.4 fl. oz. Rila is a mountain range in southwestern Bulgaria and the highest mountain range of Bulgaria and the Balkans, with its highest peak being Musala at 2,925 m. Rila is famous for the Rila Monastery, Bulgaria’s largest and most important monastery, founded in the 10th century by Saint John of Rila. Rila has an area of 2,400 km². The Seven Rila Lakes are the most visited group of lakes in Bulgaria. The lakes are situated between 2,100 and 2,500 metres elevation above sea level. Each lake carries a name associated with its most characteristic feature. Rhodope Mountains are a mountain range in Southeastern Europe, with over 83% of its area in southern Bulgaria and the remainder in Greece. Its highest peak is Golyam Perelik 2,191 meters (7,188 ft). The Rhodopes are spread over 14,735 square kilometers (5,689 sq mi), of which 12,233 square kilometers (4,723 sq mi) are on Bulgarian territory. They have the greatest extent of any single mountain range in Bulgaria. The mountains have abundant water reserves with a dense network of mountain springs and rivers. Popular caves: Devil’s Throat, Snezhanka, Yagodinska cave, Uhlovitsa. The mountain is named after Perun, the patron god of the Slavic pantheon and the god of thunder and lightning. Pirin is the second highest mountain range in Bulgaria and the eighth highest in Europe. It is mostly covered with wild forests and has an area of 2,585 km2. The town/resort of Bansko is an important tourism and winter sports centre. There are two peaks above 2,900 m, Vihren (2914) and Kutelo (2908). One of the most picturesque parts of Pirin’s landscape are 176 crystal-clear mountain lakes which are called the eyes of the mountain. The Balkan Mountains’ range runs 560 km from the border between Bulgaria and Serbia eastward through central Bulgaria to Cape Emine on the Black Sea. The highest peak is Botev at 2,376 m, which makes the mountain range the third highest in the country. There are several important protected areas: Central Balkan National Park, Vrachanski Balkan Nature Park, Bulgarka Nature Park and Sinite Kamani Nature Park. 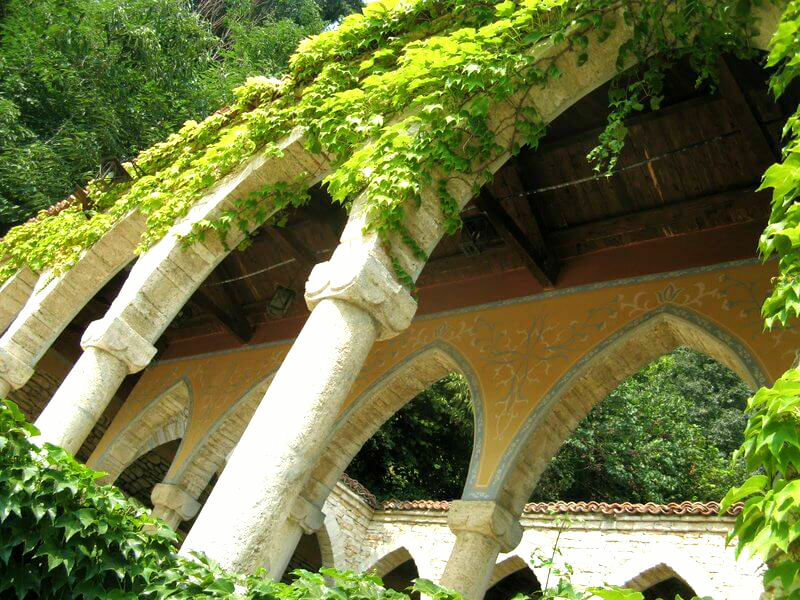 The famous Valley of Roses is located south of central Balkan Mountains. 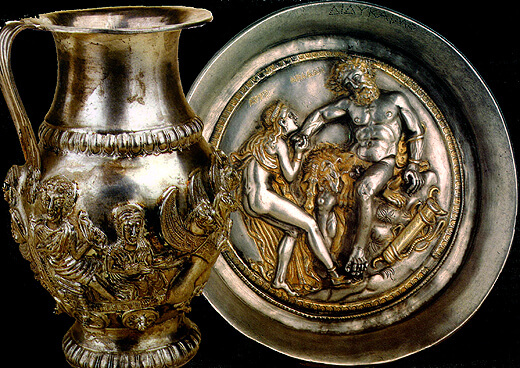 The oldest gold treasure in the world was discovered near Varna in 1972. It is over 6000 years old and it is exposed in the Archeological Museum of Varna. The Bulgarian resort of Sunny Beach is the biggest summer resort on the coastline of the Black Sea and it is also one of the biggest in the entire world. The song “Izlel ye Delyo Haydutin”, performed by the Bulgarian folk music singer Valya Mladenova Balkanska, is part of the Voyager Golden Record selection of music included in the two Voyager spacecraft launched in 1977. Lactobacillus bulgaricus is one of several bacteria used for the production of yogurt. It is found naturally in the gastrointestinal tract of mammals living in Bulgaria. Тhere are over 60,000 Thracian mounds/tombs in Bulgaria, of which have been explored only about 1,000. 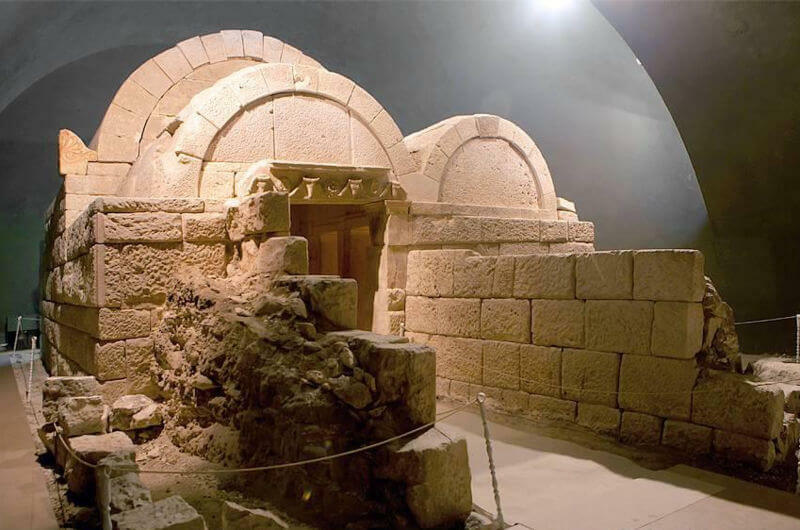 Among the most famous are: The Thracian Tomb of Sveshtari, the Tomb of Seuthes III, the Thracian tomb of Kazanlak, the Thracian tomb Griffins, the Thracian tomb of Aleksandrovo, the Thracian Tomb of Pomorie and more. 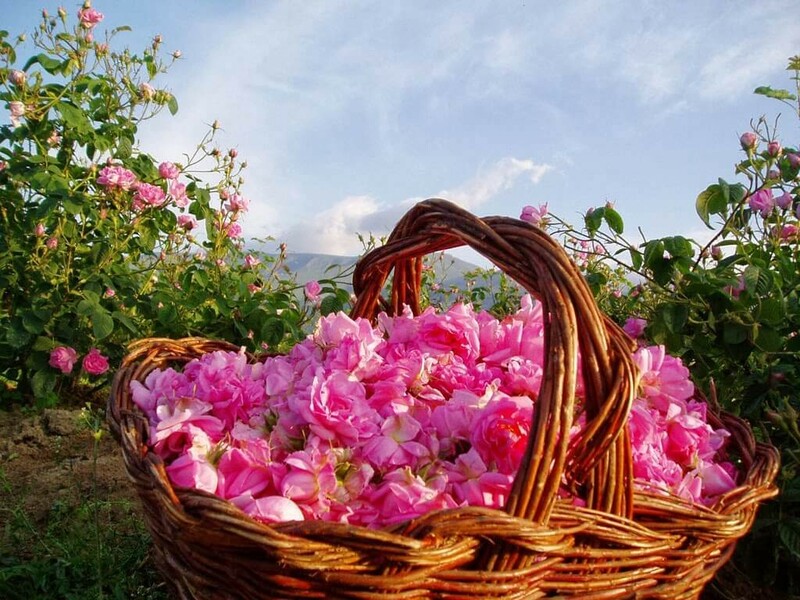 The valley of Roses is situated in central Bulgaria and it is famous for its rose-growing industry which have been cultivated there for centuries. 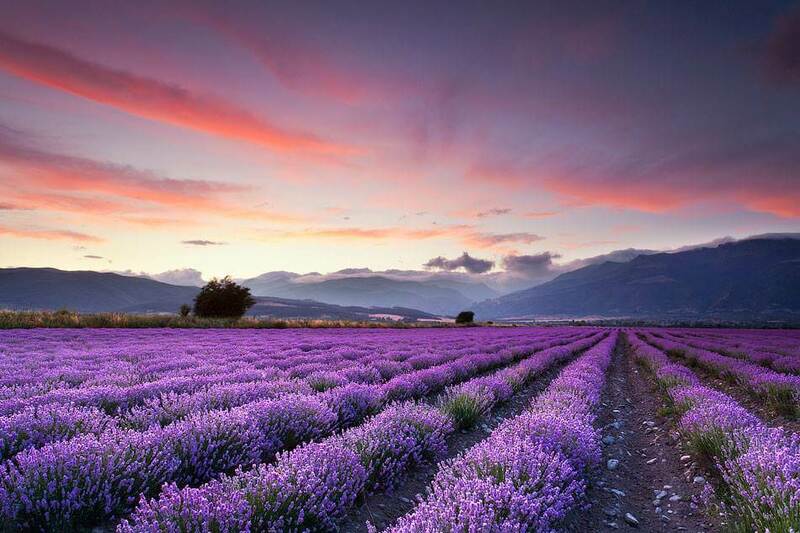 It produces 85% of the world’s rose oil. Alexander Nevsky Cathedral in Sofia is one of the largest Eastern Orthodox cathedrals in the world. Bulgaria was the world’s second largest wine producer in 1980s. Nowadays, Bulgaria gains back its popularity as a good wine producer. Typical Bulgarian red wine grapes are Gamza and Mavrud. 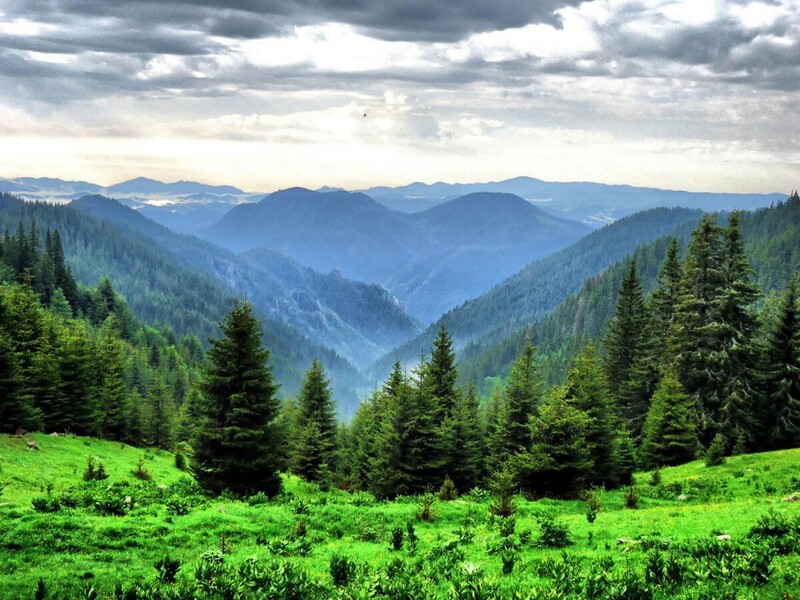 One third of Bulgaria is covered in wild forests. Refreshing, isn’t it? Bulgarians express approval by shaking their heads rather than nodding.